While many of our clients planned to cut back on their work schedules in retirement. Few thought about cutting back on driving in retirement. 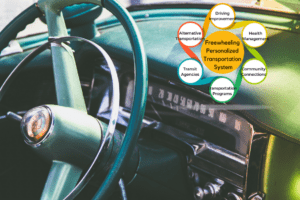 However, research tells us as we age we decrease how far and how often we drive. Often this is due to preferring not to drive at night, or in traffic or to unfamiliar places. The Freewheeling Movement takes this into consideration and offers an alternative. First, we ask our clients to complete a self-assessment. By doing so we empower our clients to identify their strengths and weaknesses. Next, we focus on maintaining their strengths and confidence. After this, we began developing their underdeveloped skills. By doing so we encourage action and connection. Two areas often ignored when working with older adults. 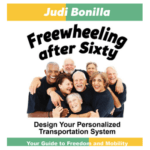 Join the Freewheeling Movement to educate 40,000 aging drivers on their transportation options.To do so purchase the book and connect with us. Our principals are based on six elements. To learn more contact us. What’s Missing From Your Retirement Portfolio?